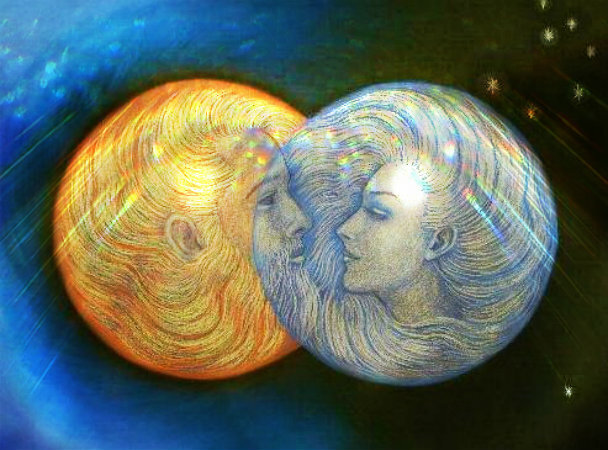 One of the grandest questions of the universe: do we have a selected soul mate from birth? People have wondered this for thousands of years, according to cosmic marriage, the answer is yes. The universe, or the cosmos, has already preselected your soul mate. While this may seem a bit far-fetched, the universe has a grand plan for us – including the people in our lifetime. This is why it is so urgent to go with your gut feeling. Whether you understand it or not, that gut feeling has the potential to lead to your soulmate. While the universe has your pre-selected soulmate, people often ignore the gut feeling or settle down for some other kind of personal issues. This causes them to never fulfill the ‘prophecy of love’ set forth by the cosmos. Cosmic marriage is guaranteed to not only succeed over time but blossom into a beautiful, loving, empathic companionship. However, the opposite is also the same. If two people are together – and the universe did not intend for this eternally – and they get married, their marriage is destined to fail. Rather harsh, however, it’s just the way the universe works. You’re probably wondering why the universe would ever bring that dreadful ex into your life in general, and you’re not wrong for wondering. Gosh, do we all have some really bad exes. However, your relationship with your past partners never exactly blossomed – better put, crash and burned – you still learned excellent lessons from that relationship. You additionally gained a sense of independence after the breakup; you know it’s true. Marriage with a true heart connection is becoming more and more a rarity in the modern day. Love is not all the dilly-dally the movies make it out to be. Love is painful, knowledgeable, hurtful, anxiety-inducing, exciting, compelling, and life-changing alone! If you don’t have that gut feeling about your partner it is okay! You should never feel guilty for the way the universe designed you to be. There is that perfect someone out there, do not ever give up hope! Bog je ljubav,savrsene ljubavi nema i ne moze biti. I don’t know what to believe, when i got married about 32 years back, it was like i have found my soul mate. The life was beautiful for about 15years or so,. People used to look up to us for relationship goals. After the internet invasion all possibilities opened up for my better half. He left no stone unturned to make me feel like I am not the one for him. After his emotional affair online, i felt he has finally found his soulmate. Although he has left all that but something is missing in our lives now. I still love him despite all that. What do i understand by this? Totally confused!